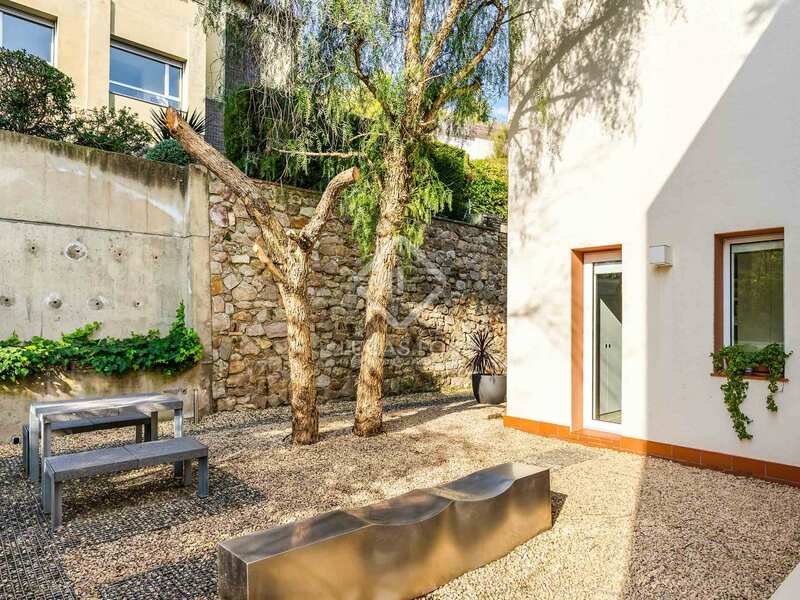 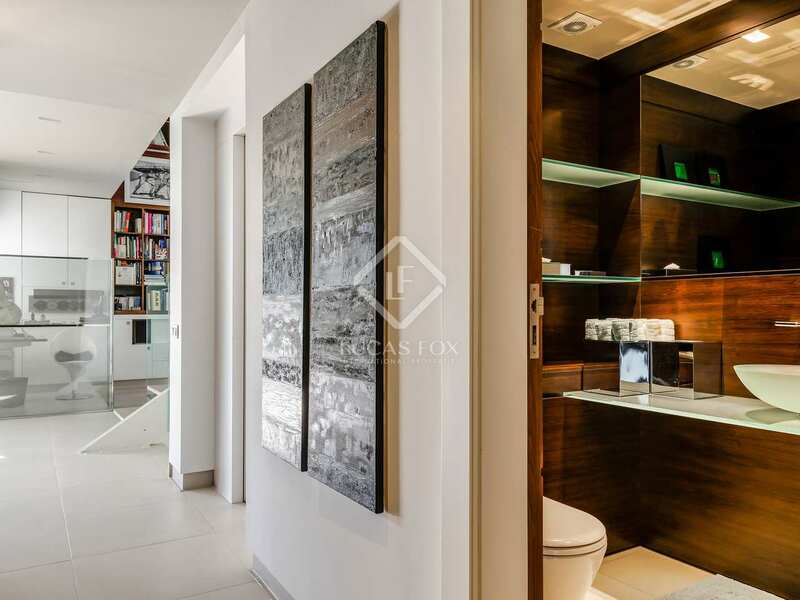 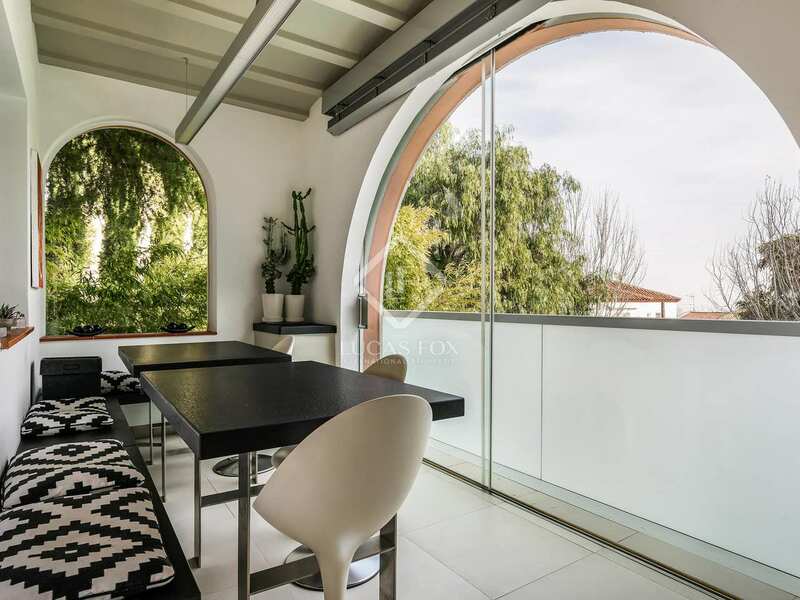 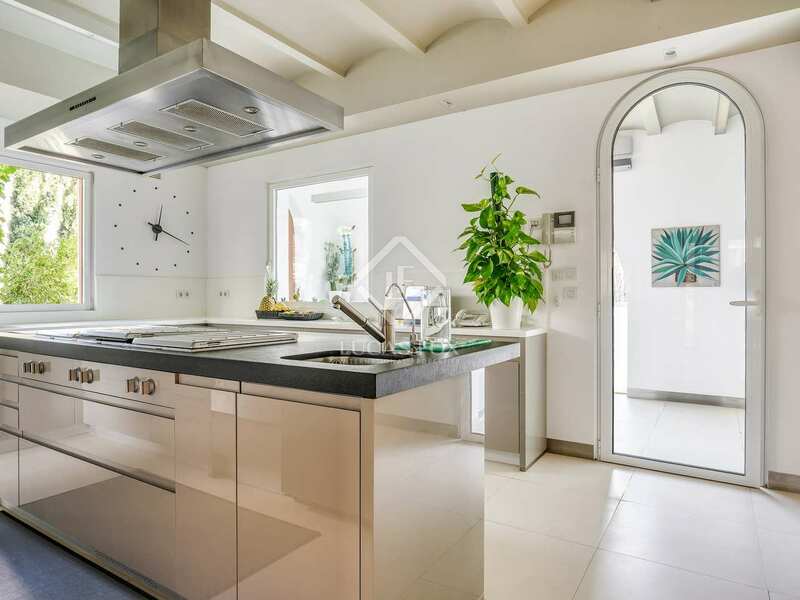 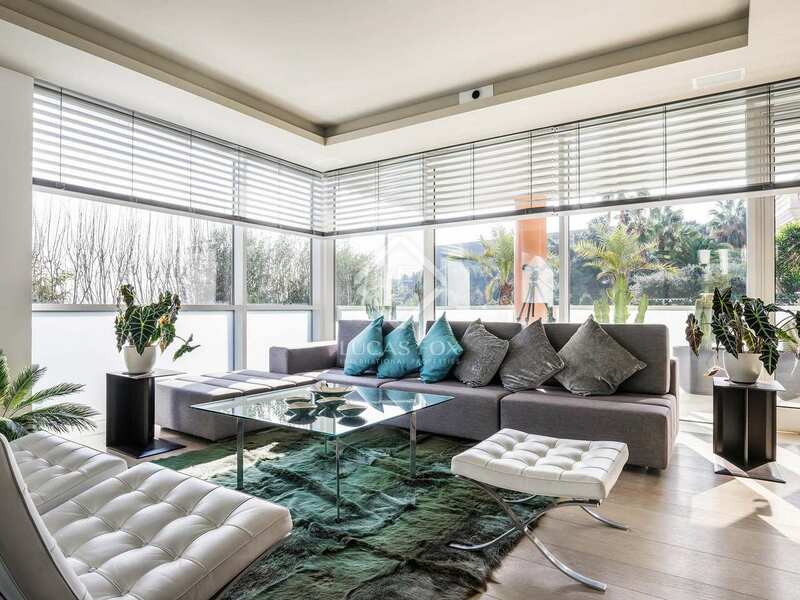 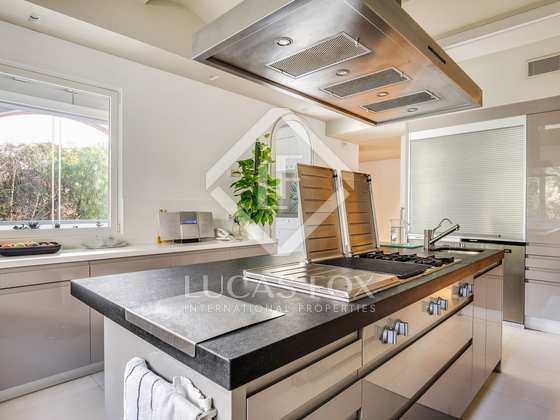 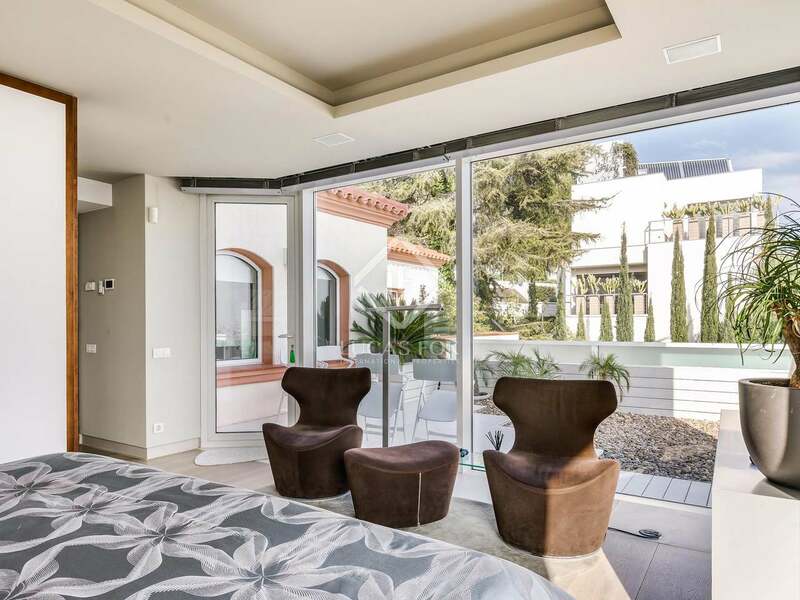 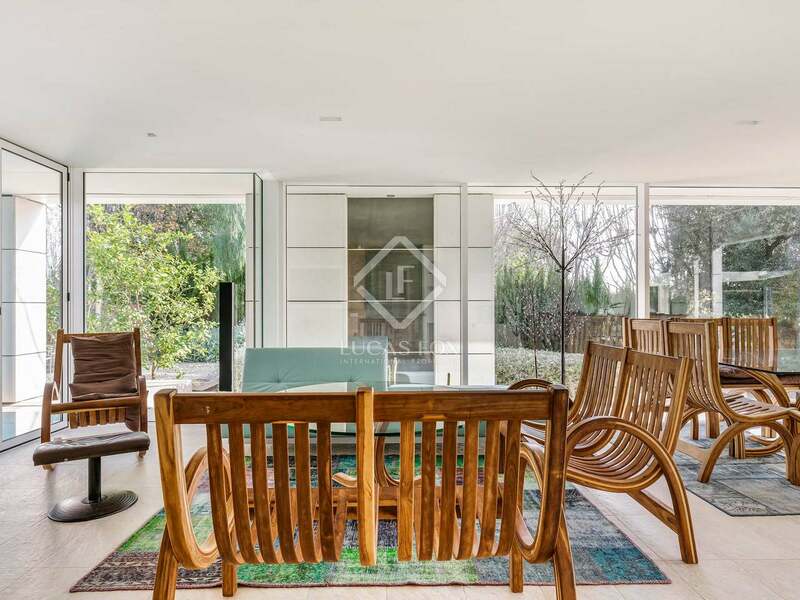 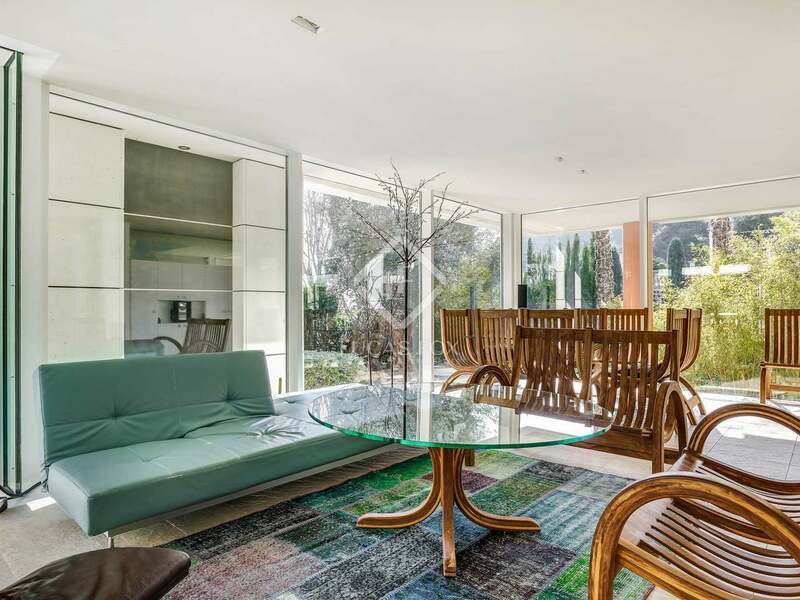 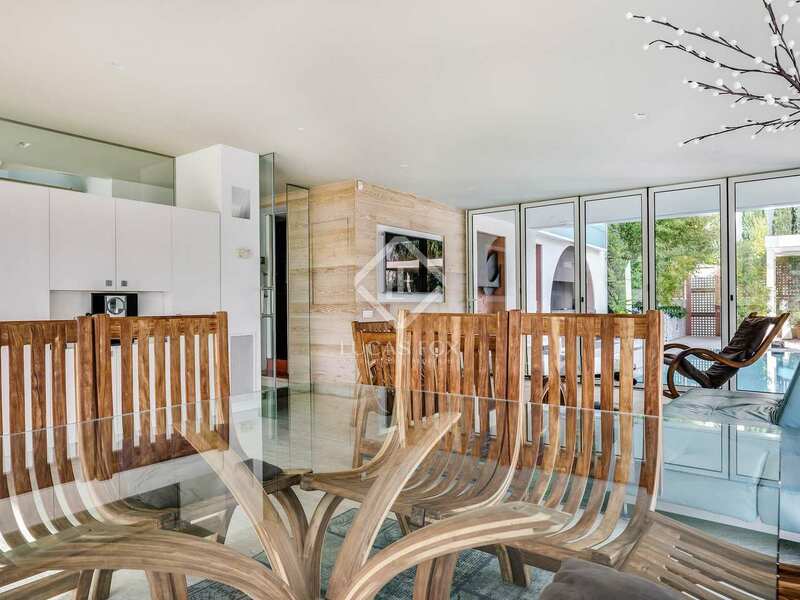 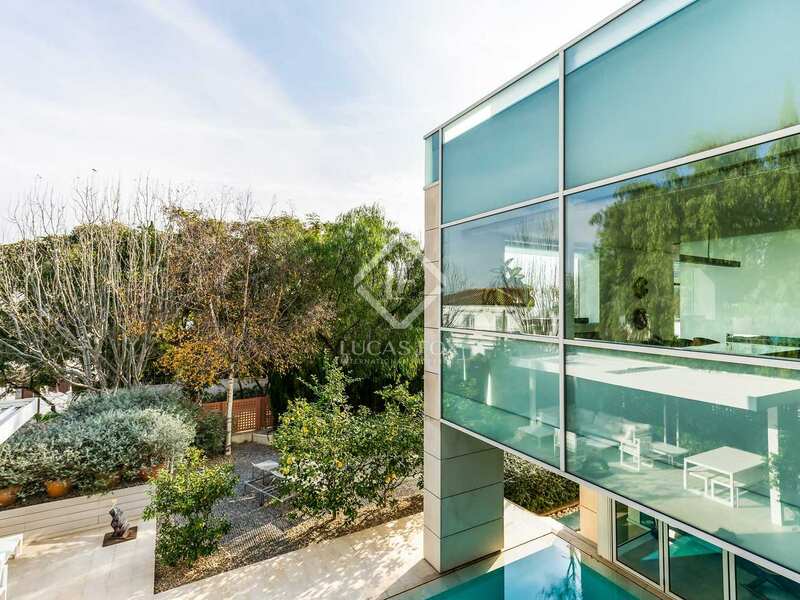 Amazing avant-garde house offering secluded luxury in Barcelona’s prestigious Pedralbes neighbourhood. 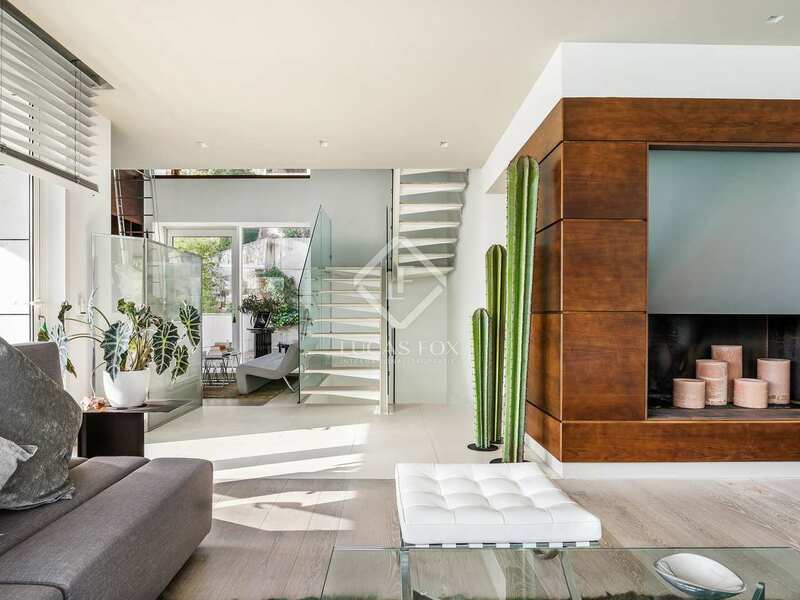 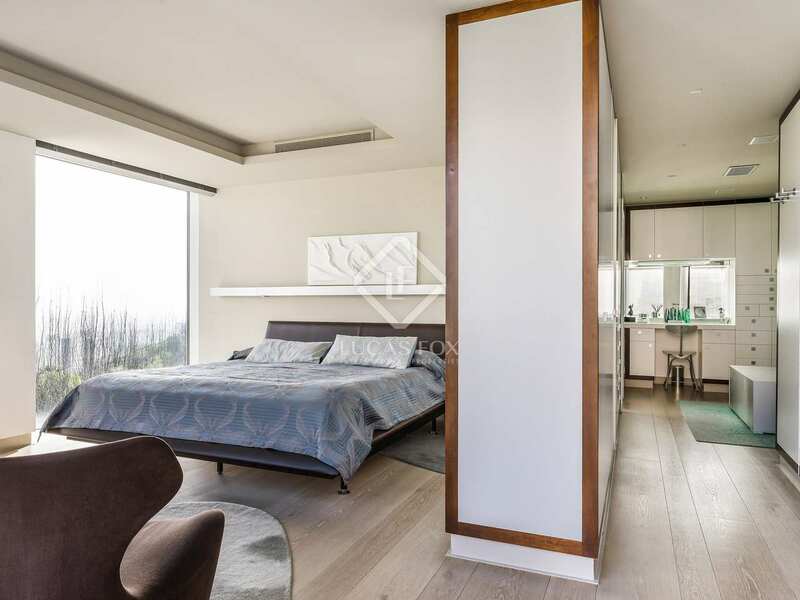 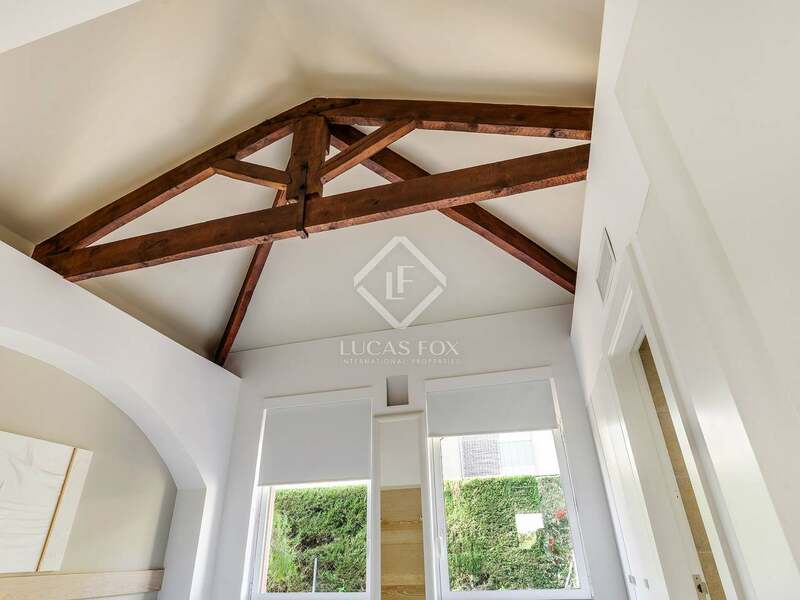 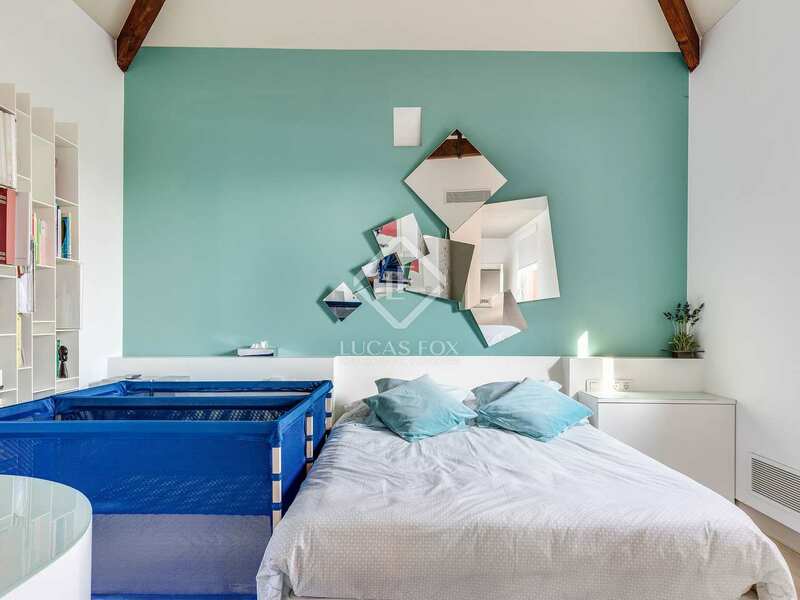 This beautiful 3-storey house combines the best in modern luxury with a fantastic position overlooking the city. 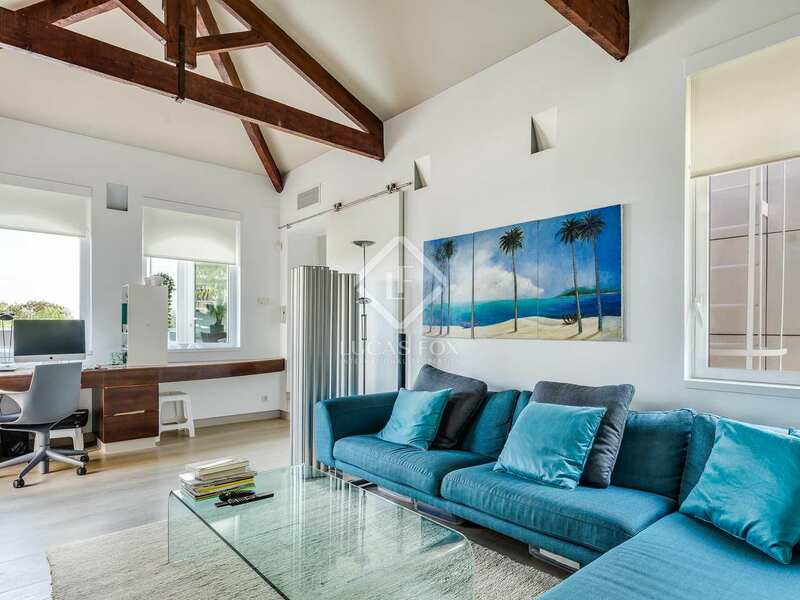 From tranquil pool and garden to spectacular rooftop terrace, this property makes the perfect family home. 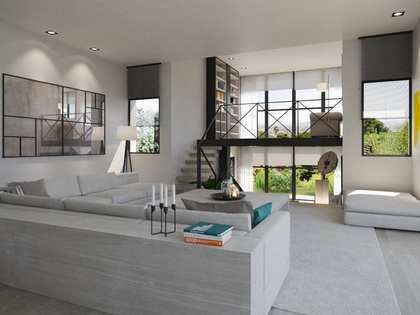 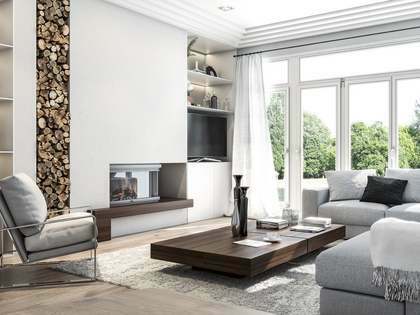 Eye-catching features abound with plenty of space, bright natural tones and extensive use of glass that helps to flood the house with natural light. 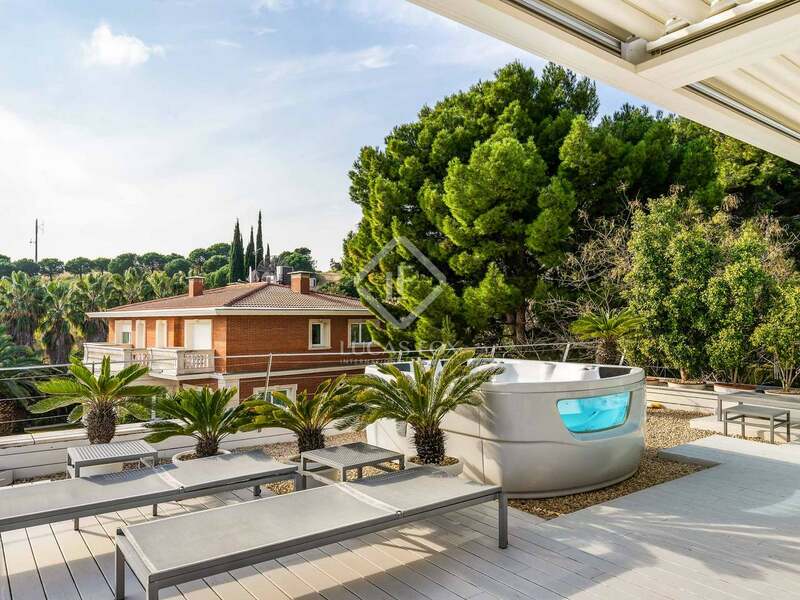 Outside, greenery and mature trees create a sense of rural calm that reflects the rolling green hills of the Collserola natural park on the doorstep. 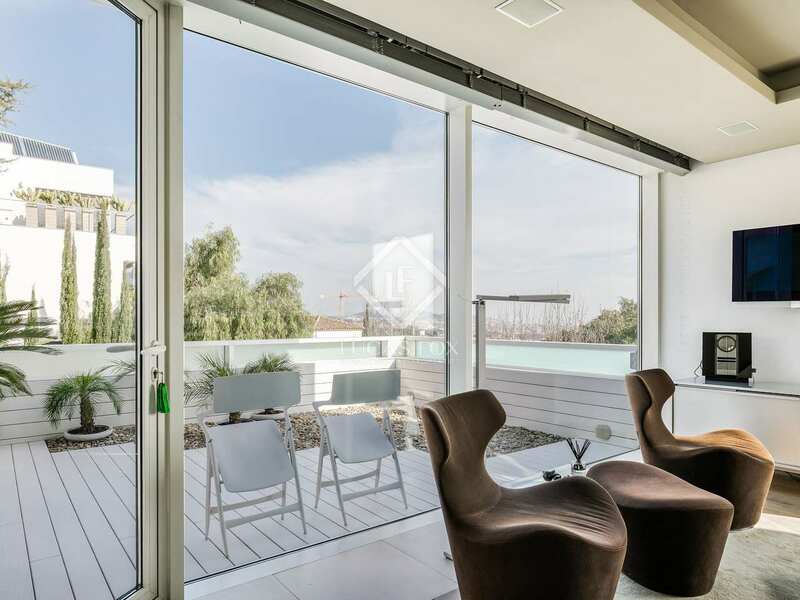 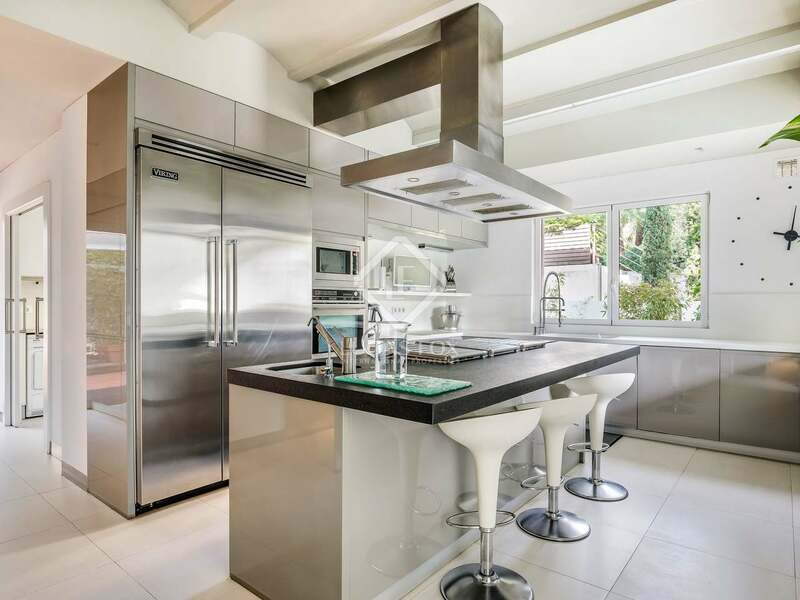 This is a house for enjoying the Mediterranean climate, with retractable glass walls opening onto a lovely pool area that is surrounded by gardens, chill-out areas and an outdoor kitchen that adds smoothness to al fresco entertaining. 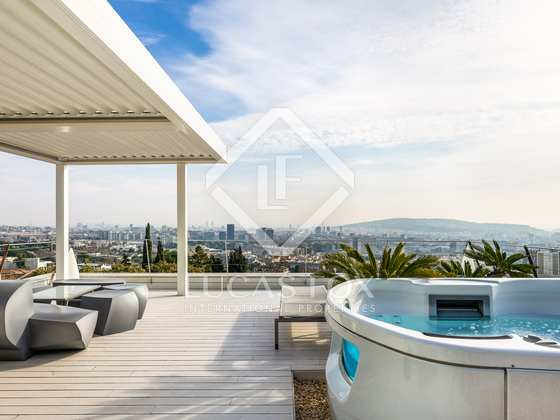 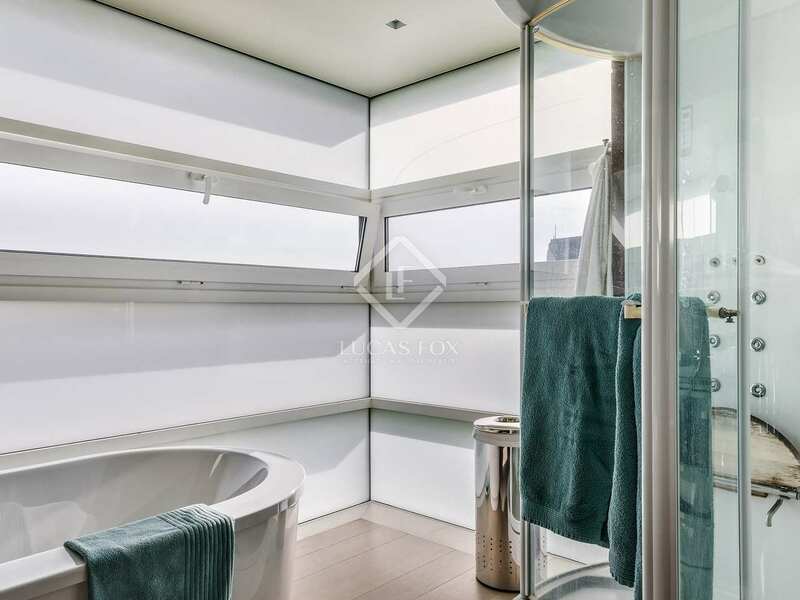 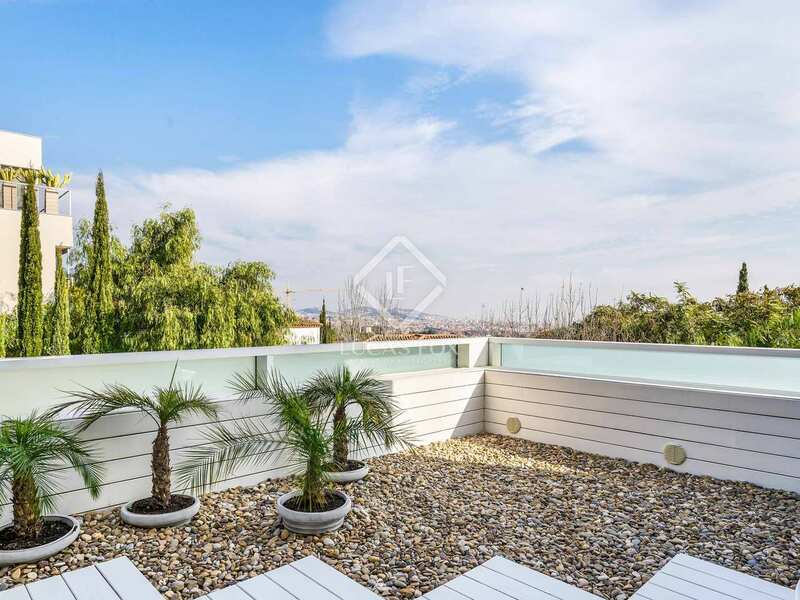 Upper floor terraces provide private outdoor space and show off the views that are fully revealed from the roof, where you can relax on a lounger or in the Jacuzzi with the whole city spread out before you. 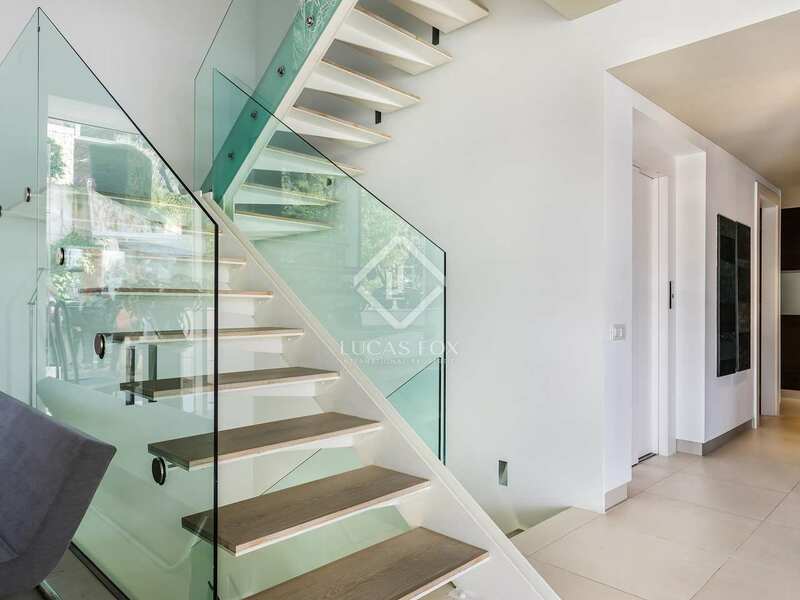 The three floors are joined by a lift and a sleek glass staircase and exceptional fit and finish is evident from top to bottom. 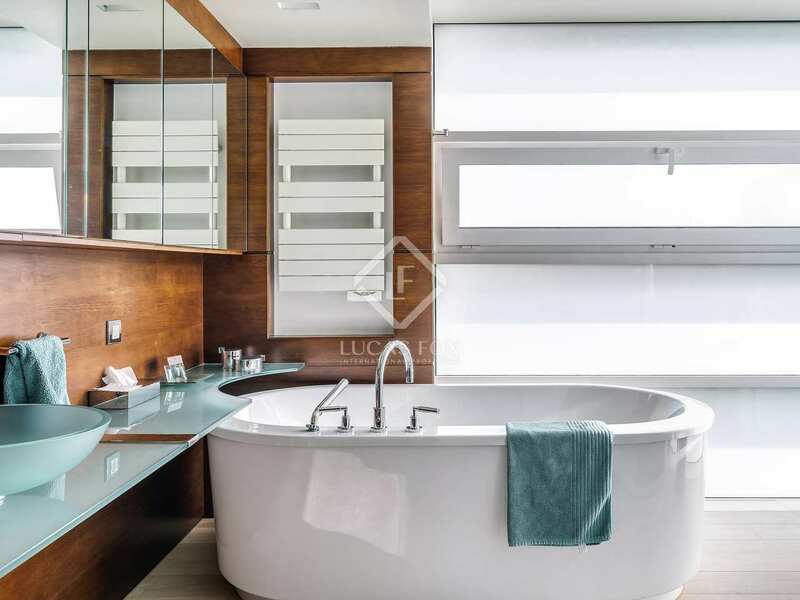 The master bedroom suite is particularly notable, with its separate dressing room and designer bathtub. 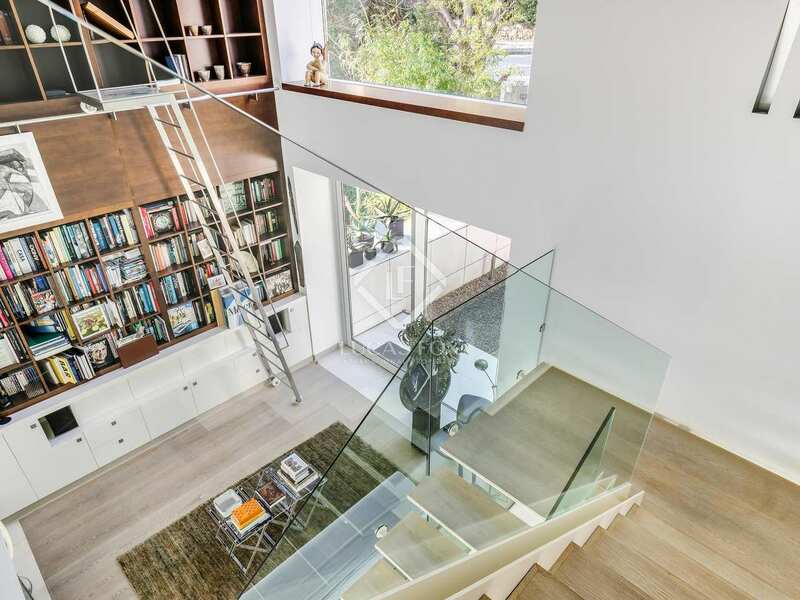 Space abounds and is emphasised by a breathtaking double-height library with vast windows and a large TV room and study with vaulted ceilings. 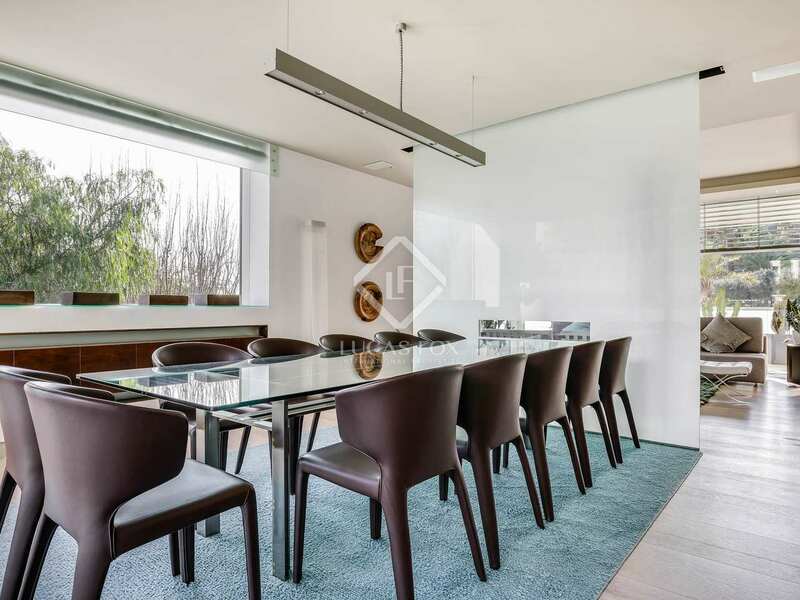 Innovative use of glass is widespread, and includes a screen that can be used to divide the dining room and living area. 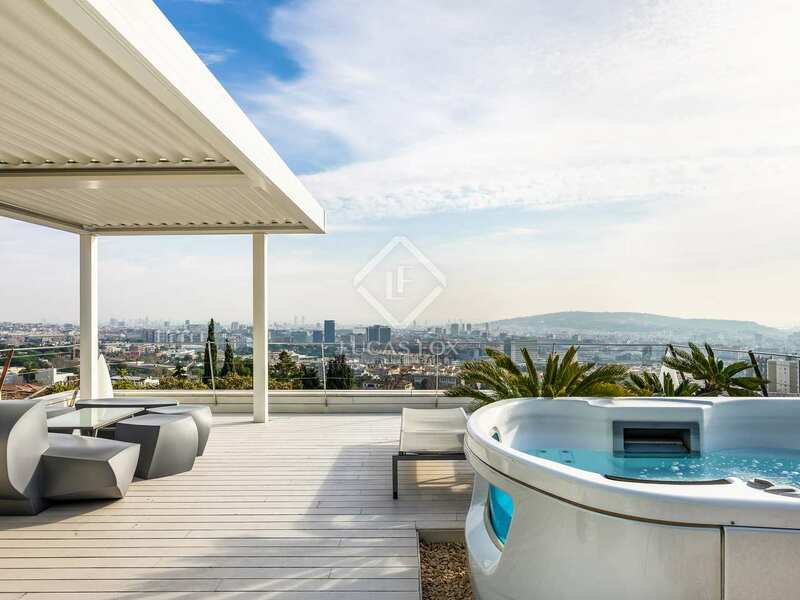 Pedralbes is one of the most prestigious neighbourhoods in Barcelona, known for hosting the most luxurious houses in the city. 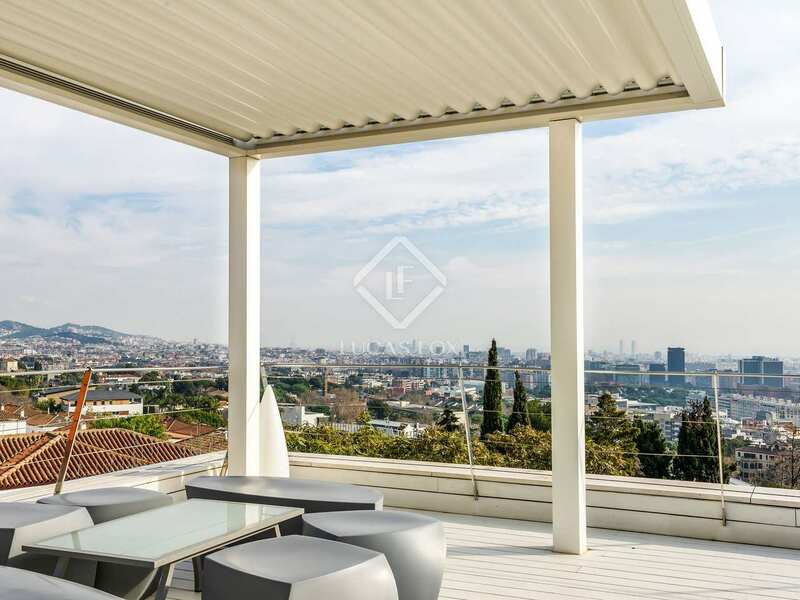 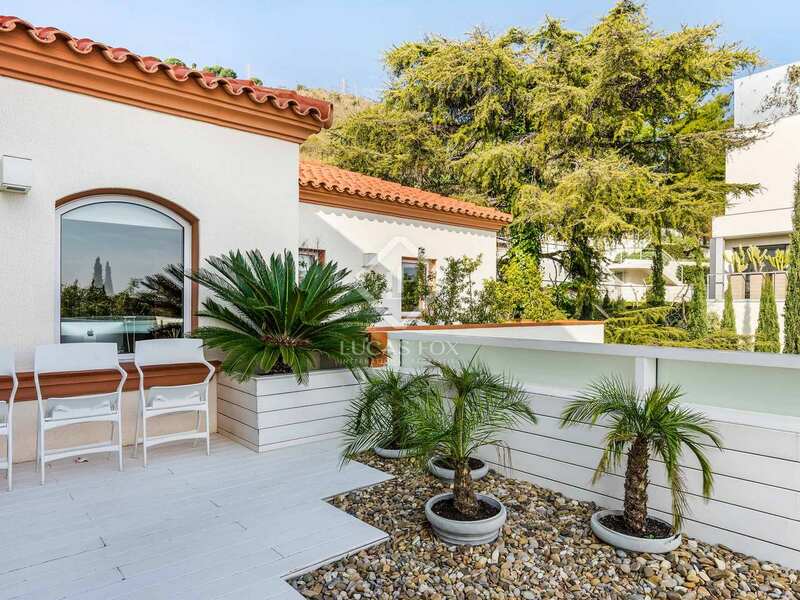 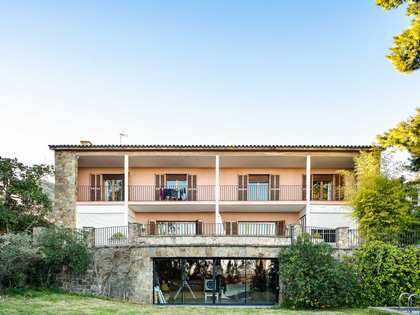 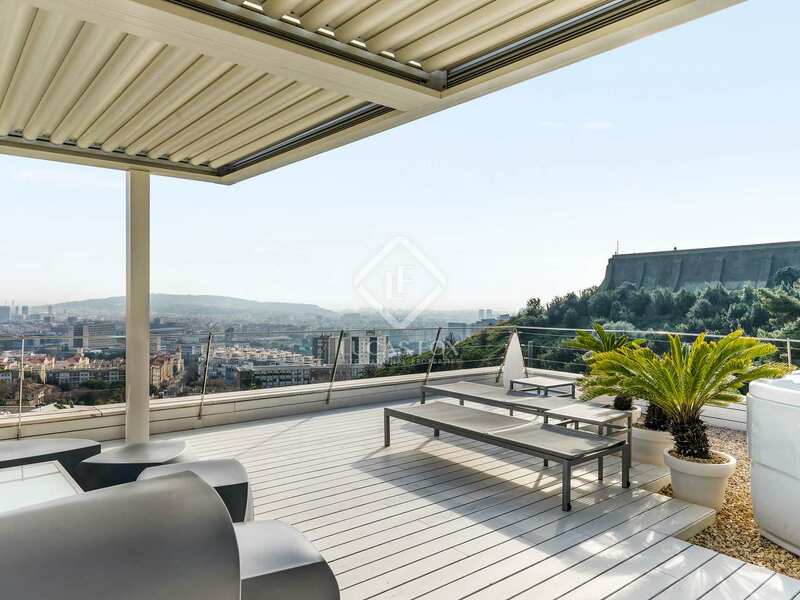 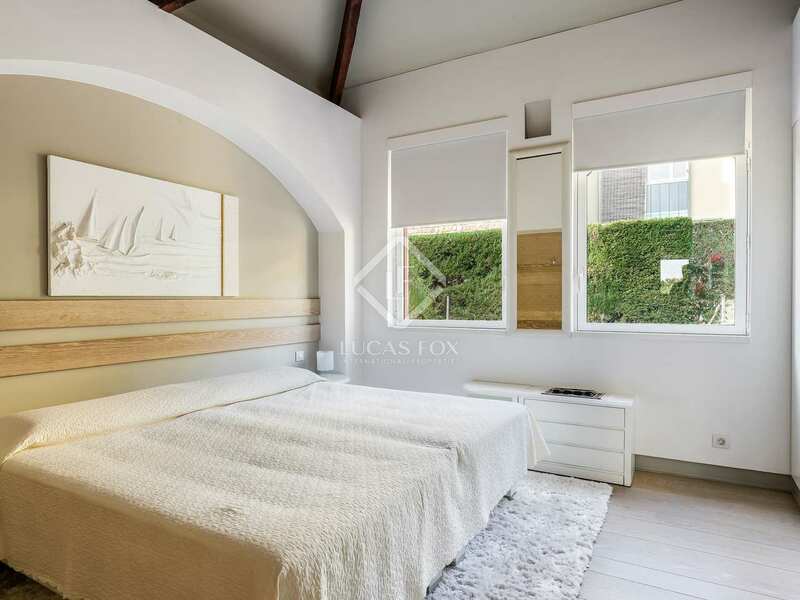 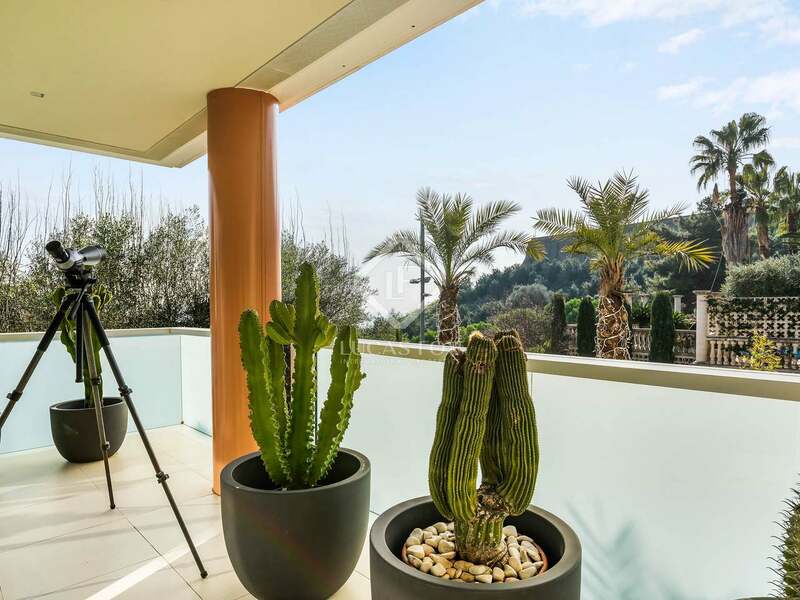 This property is within easy reach of the city but has the added appeal of being in a very quiet residential area of the Zona Alta with great views and plenty of green spaces including Cervantes Park and the vast natural space of the Collserola hills. 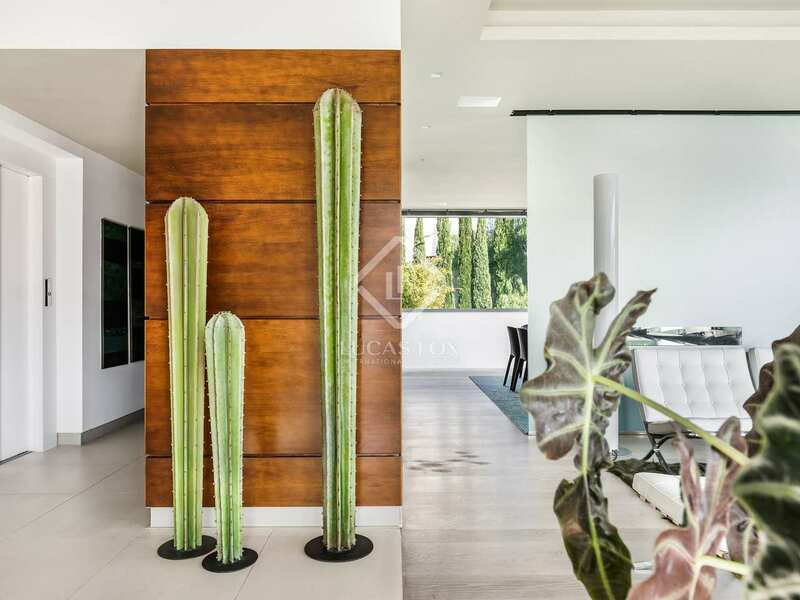 This area is very popular with professional families because it is close to excellent international schools as well as universities and business schools. 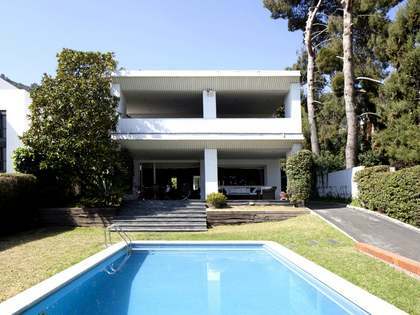 There is also a wide choice of high quality health and sports clubs. 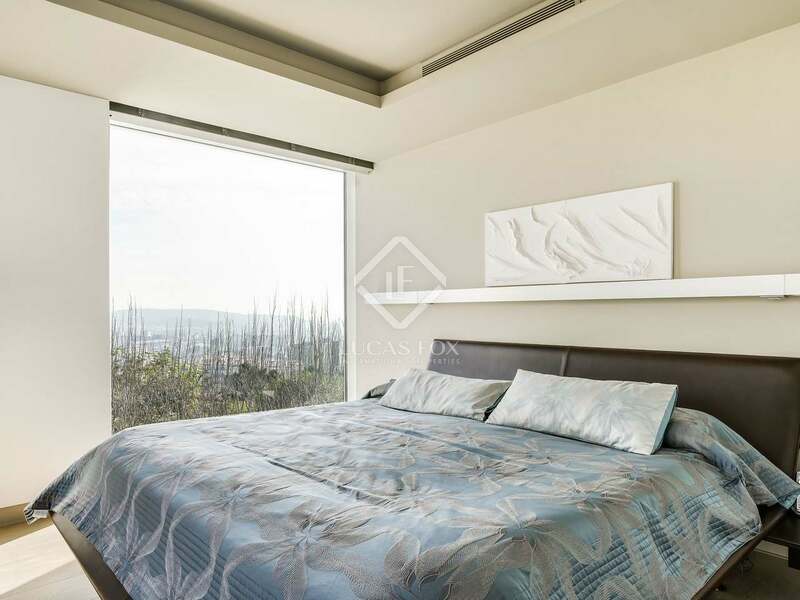 Road links in and out of the city are also very good, and the airport is just a 10-minute drive away.